Creating an amazing car audio experience doesn’t have to be overly complicated! 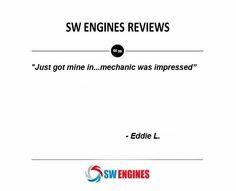 Getting the best sound in your car is a tough job, but it’s not as hard as installing a used engine or trying to re-align the alignment with no experience. In fact, getting the best possible tunes out of your car stereo is often a simple matter of making small but meaningful adjustments. The first thing a dedicated audiophile needs to do is remove the cheap sound system that came with a car and put in something with more power and a smoother sound. A sound system is a lot like a tattoo; you get what you pay for. If you’re serious about good sound you don’t necessarily need the most expensive system out there, but do your homework and make sure that other users are pleased with the performance a given model has delivered. Doors are, it turns out, terrible places to put speakers. 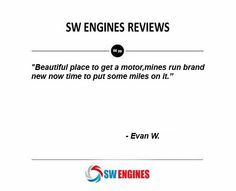 All the noise from the road, the roaring of the engine, and the vibration can screw up the sound. Putting sound dampening material around a speaker can help shut out the outside world and let the music flow much more clearly. As with the speaker, don’t skimp on the material; if you buy cheap stuff, it won’t keep out as much white noise. Most car speakers that mean business have a subwoofer, but if the box isn’t keeping out air flow that can be a serious problem. Make sure that the sub has as close to an air tight box as possible, otherwise there can be interference that leeches out your sound quality. Additionally, don’t be afraid to add an amplifier into the mix. While it might not seem really necessary at first glance, there’s a huge difference between the sound one hears without an amp, and the sound one hears with an amp. Most music lovers keep an iPod or similar device on hand to plug into their stereo. What you might not know is that there’s a digital-to-analog converter that changes the binary information into music signals. This isn’t really that much of an issue when you have headphones on, but it can leave the music in your car sounding off kilter and low quality. 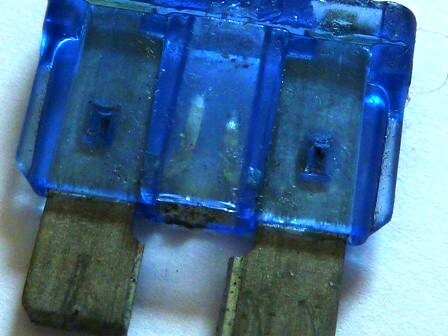 So use a USB plug if you can, and try to avoid this conversion process altogether. The end result will be a stronger, bolder sound with practically no additional cost or effort on your part. 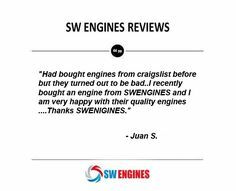 When you need a new engine to go with your amazing car stereo, call us here at Southwest Engines for a quality used motor. Gentlemen, there is a new “car sheriff” in town and its name is Bugatti Veyron 16.4. 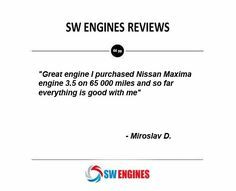 This top quality vehicle holds its own when it comes to horsepower and speed. This beautiful car has 1,001 of horsepower and this car travels at a miraculous 252 m.p.h. The price tag is a little hefty and hits about 1.5 million and the Bugatti is the world’s most expensive new vehicle and this “boy toy” is worth every cent. According to some of the Bugatti’s car owners, this sports vehicle is relatively easy to drive. Although not as engaging or visceral as other sports cars, this “boy toy” is still quite impressive and unique. The Bugatti car may coddle its accessories such as its leather upholstery and other special aluminum accessories and unique measurements. This sports toy has poor visibility due to it’s thick A-pillars but some of the newer models have increased this flaw over the years. Some of these “boy toys” can be bought used. 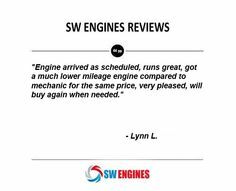 So if you need a good, quality used engine, try SW Engines. 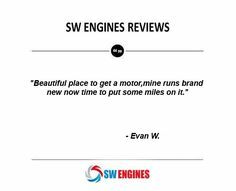 With a good engine, the speed and horsepower that a person may crave for their pleasure and unique style may be achieved. Make 2014 a great year with these simple goals to focus on! 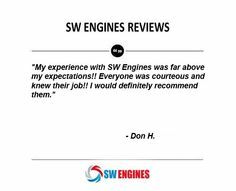 We at Southwest Engines owe a lot of our success to a good attitude. Optimism, trust and perseverance are perspectives rather than short term goals like many New Year’s resolutions. You can may need to practice these ideals more often than you want to admit but you will get more out of having them than you can imagine. Here are some simple ways to start. Maybe leave an extra large tip for a server or write a nice comment about a coworker. If a friend needs a loan or something from your toolbox, don’t hesitate to give. The happiest people are the ones who learn to enjoy giving and enjoy seeing happiness in others. It never hurts to have a few favors to call in either. Being truthful is a good personal and business philosophy. This does not mean simply not lying. It also means admitting the whole truth. Making excuses for bad choices will prevent you from learning from the experience. It makes life more complicated and stunts trust in others, if you cannot be honest with yourself. Find a new hobby or restart an old one. Join a dedicated group to help get more experience and make friends. New interests and new experiences give you many health benefits. These include lower blood pressure, maintaining a healthy weight and may reverse or prevent brain disorders like Alzheimer’s disease. A friend wanted to be organized. They bought bins, shelves and every self-help book on organizing. The clutter is still a running joke. No matter your goals or needs try to keep them simple. A good rule of thumb for simplicity: if you cannot explain it or justify it to a six year old, rethink your plans. Forgive and forget. Abandon regret, fear, anger, revenge and anything that you do not love about your current perspective. It is not helping you to hold onto these so don’t. We hope these ideas help you in the next year to become even more happy and successful. Happy New Year! The action-packed “2 Fast 2 Furious” is definitely one of the most exciting car movies ever. Car enthusiasts had the treat of watching their favorite high-performance machines in action. Although the film featured plenty of exhilarating rides, one of the most intriguing cars was definitely the customized pink Honda S2000. Even today, the head-turning sports car still draws stares of admiration. At first glance, the pink Honda S2000 makes a bold statement with its specialized ground effects and artistic paint job. The unique shade of pink helps to differentiate this S2000 from any other tuner car roaming the street. Unlike some of the other movie cars, the pink S2000 is actually engineered to deliver an enhanced on-road performance. Although the internal components of the engine remain the same, the pink S2000 has been outfitted with a potent Paxton supercharger. 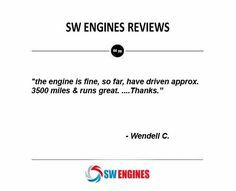 The addition of the supercharger effectively boosts the power output from 240 horsepower to a massive 340 horsepower. 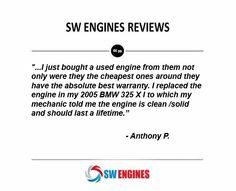 For car enthusiasts that are seeking to replicate the pink S2000, there are plenty of high-performance used engines available. Most Honda engines are interchangeable, so a more potent motor can be easily swapped into the S2000. 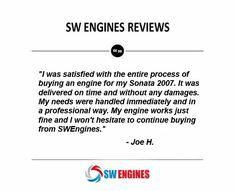 Our engine database here at southwestengines has many Honda motors that can be modified. With the addition of a jazzy paint job and a customized set of wheels, you can transform your own S2000 into a vehicle that is worthy of a movie role. America’s Favorite Tow Truck: Mater! Friendly-looking cars tend to sell a great deal better. Who wouldn’t love to buy Mater’s used engine? According to studies conducted by marketers people tend to buy cars that have a personality. Friendly-looking cars, by and large, tend to sell a great deal better. If there was a competition for the friendliest car though, then the all-time winner might be Mater, the beater with an engine of gold. Tow Mater, later Sir Tow Mater, is a secondary character in the Pixar film “Cars”, but he later went on to star in “Cars 2″, as well as in a spin-off series “Cars Toons: Mater’s Tall Tales”. In the first role Mater is the slightly bumbling, hometown boy that the race car Lightning McQueen befriends, and in the sequels Mater takes on roles ranging from a secret agent to a giant slayer. A vehicle of varied talents, Mater has become something of a household name due to the success of both the first film and the subsequent runs on the “Cars” franchise. At first glance Mater looks like just another beat-up tow truck, albeit one with eyes and a trademark drawl provided by famous comedian Larry the Cable Guy. However, while it’s a little hard to pin down precisely where Mater came from, fans and car lovers alike have been hitting the books to try and trace the automobile’s ancestry. The results that people have found are pretty hodge-podge, but when they’re put together into a complete picture, it is Mater to the life. The core of Mater comes from a Haulitail Hook’Em, though there is some argument among people as to whether the model is a 1951 or a 1957. However, neither model accounts for Mater’s most prominent feature, aside from his love of tractor tipping. That is namely the big arm on the back that supports the cars he tows. That arm and assembly belongs to Mater’s other parent, a 1951 International Harvester L-170. These vehicles were part boom truck and part Chevy 3800, with a healthy dose of one ton wrecker. Though he might be animated, the designers had to take inspiration from real autos in order to put together Mater’s precise look, from the way his chassis curves back to the discoloration of his side panels. Tracking down precisely which makes and models went into his look proved a bit of a challenge though, even for those who have a huge love of cars real and animated. 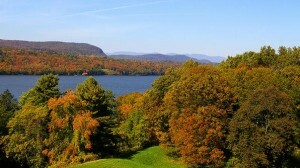 According to the Travelchannel.com, we’ve got ten pretty awesome road trips for 2013 showcasing some amazing autumn colors that you may want to consider taking before winter sets in. Whether you’ve got a new car or your classic cruiser with its used engine, plan your date, pack your gear and don’t forget your camera! For maps and more pics, check the link above. If you crave sweeping vistas, meandering roads and lots of barns, this is the drive for you. Stated as “some of the most beautiful land you’ll ever set your eyes on.” by Samantha brown of Travel Host. Totally worth the drive before October ends is the Harper’s Ferry. Bring the kids and catch the Jefferson Rock hike to enjoy the view looking over the Blue Ridge Mountains. If you want some incredible pictures, take Route 112 west past the small fanciful town of Woodstock on to the Beaver Pond at Kinsman Notch. The little side roads to explore is the best part. The height of the colors in the stretch of the valley north of Bennington, you will find many maples and birch trees to take your breath away. Best in mid October, so plan your trip soon! The designs of Frank Lloyd Wright are perfect in the Fall and actually quite mind-blowing when set against the developing foliage. When the birch and sugar maple trees begin to turn that dynamic orange, yellow, and red – that is the perfect time for a drive down Route 29 and Rout 487 through the Rickets Glen State Park. You can see a total of 22 waterfalls and stunning trees over 200 years old. Bring your camera for truly dazzling photos. One of the best fall get-aways would be the Skyline Drive in Shenandoah Natl Park. You will fall in love with the Blue Ridge Mountains, and the many overlooks for snapping pics. Cruise along Lake Wallenpaupack for some of earth’s most yummy eye-candy, and pause in Hawley for some lunch before you take the hour long scenic boat cruise around the lake for some of your best photos ever. According to consumer reports, if you are trading in your car every few years for the latest model, you may be losing thousands of dollars. 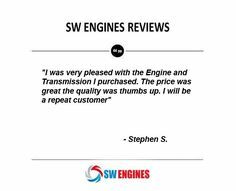 If you consider the credit and housing markets right now being in a state of turmoil, you can easily understand why it has been recommended to repower your car engine as a means to greatly reduce your expense in the long run. Keeping your car for over 15 years or 225,000 miles instead of buying the same car every new every so many years will save you more money than its original purchase cost says Consumer Reports. They go on to say that folks don’t realize the money that is lost by purchasing a new vehicle every few years. Especially given that today’s vehicles can easily last over the 200K mile mark. 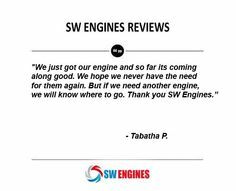 Making an investment into the replacing using an identical used engine, is more cost effective these days. 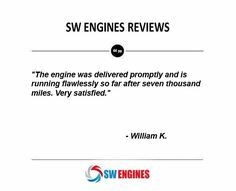 Often the used engines are even better than the new original factory installed engines.